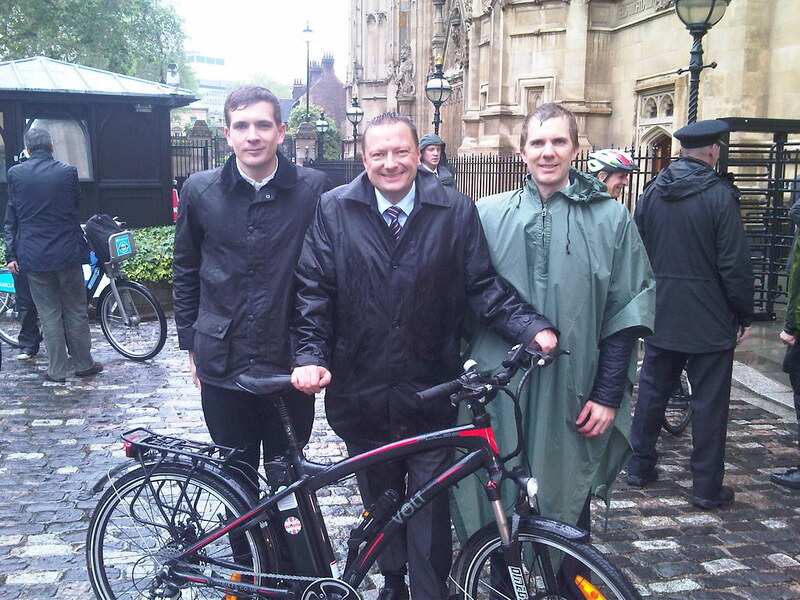 Jason joined other MPs and members of the House of Lords for the 2012 Parliamentary Bike Ride. The cyclists got soaked in their ride around the capital as they promoted the use of bicycles in the run up to Bike Week which runs 16th-24th June. Jason is a keen cyclist having got on his bike to raise money for the ‘Keep It Up‘ campaign in aid of the Yorkshire Air Ambulance and Huddersfield Town Academy. For information about Bike Week, please visit www.bikeweek.org.uk.